Microsoft next updates are fully loaded with 57 different security vulnerabilities through 12 separate updates. 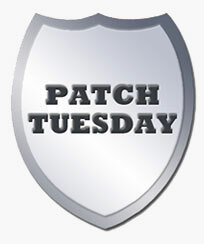 It will roll out fixes as it always does on Patch Tuesday, the second Tuesday of every month. Anyone who uses Windows as their primary operating system will be quite familiar with Patch Tuesday. According to Microsoft's advisory, The 12 security update including two for Internet Explorer (IE), that will patch a near-record 57 vulnerabilities in the browser, Windows, Office and the enterprise-critical Exchange Server email software. Part of this update will be security patches for every single version of Internet Explorer. Apparently, this is to address a security hole that leaves users open to being exploited through drive-by attacks. Out of the 12 updates, five are considered “critical,” and others are labeled “important,”. As always, the critical patches will automatically install for any Windows users with automatic updates enabled. Two of the five critical updates will address vulnerabilities in Windows XP Service Pack 3 (SP3) and Windows Vista. Among the important updates, five will affect Windows 7, four Windows 8, and three each for XP SP3 and Windows RT. Microsoft doesn't release the full details of the vulnerabilities until patches are made available.